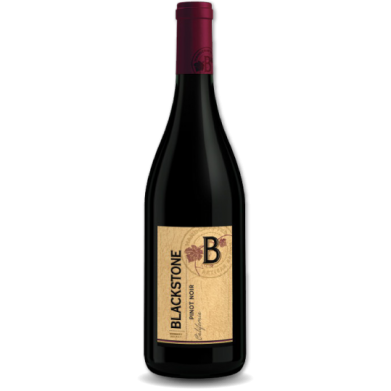 BLACKSTONE PINOT NOIR for only $8.98 in online liquor store. Our Pinot Noir shows bright flavors of black cherry and raspberry with notes of vanilla and nutmeg. Pinot Noir is the most famous grape of the red wines of Burgundy. Pinot Noir wines are known for their elegance and refinement but the grape is notorious for its difficulty. It is thin-skinned, late ripening and prone to rot. Pinot Noir is best suited for California’s cooler coastal climates.